Adolf Eichmann was one of the most despised men in the world, with good reason. As the man tasked with carrying out "The Final Solution of the Jewish Question," which resulted in the death of approximately 6 million Jews in Europe during World War II, people had every reason to hate him. Bascomb does a great job pulling together the story of how Eichmann was found - mostly through pure luck - and then captured and whisked away to Israel for trial. The most amazing part of this story, to me, is the determination and composure of those that sought to capture Eichmann and get him to trial. Many of the team members were either survivors of Nazi concentration camps or had lost family members as a direct result of the orders Adolf Eichmann gave to remove Jews from Europe. Knowing this about the team members, one would think that it would have been almost impossible to be in such close proximity with the person directly responsible for so much pain and suffering in their lives and NOT exact revenge. This mission was really important to these Jews, members of a new nation who knew that the Germans were not going to prosecute any more Nazi leaders. If they wanted the story of the Holocaust to be told they needed to do it on their terms, on their soil and in front of the world media outlets. The way this story plays out is as good as any spy story written - and its real! Labels: History Matters , Real Lives , War - What Is It Good For? 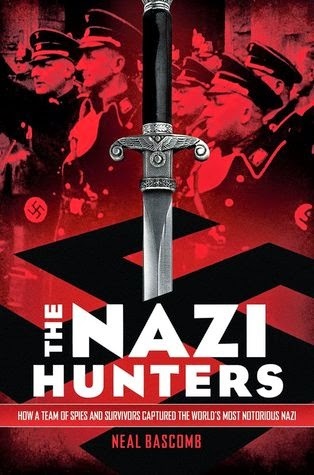 I have read several books about Nazi Hunters and Eichman, a facinating subject.